Arthur Ludlow was a Quaker and Conscientious Objector; he was a prominent member of the Fritchley Quakers. Arthur Ludlow was called up 19/05/17 aged 35 years and 5 months; married and living at The Briars, Crich Common; occupation clerk. His next of kin was his wife Catherine Ludlow (née Smith), whom he married 07/09/1907 at the Friends Meeting House in Fritchley. 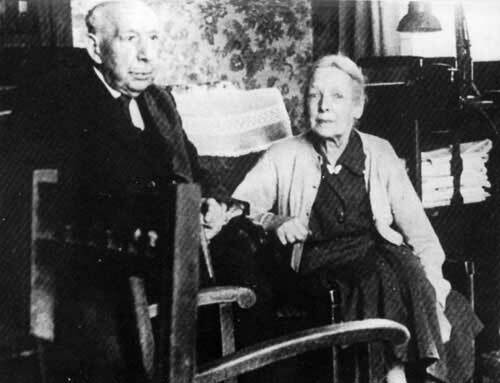 They had two children, Elisabeth (born 04/09/08), and Arthur Wilfred (born 08/06/10). He refused medical examination and was not granted exemption on conscientious grounds. 13/09/17 Tried by D.C.M. and sentenced to undergo imprisonment with hard labour for 18 months for "Disobeying in such a manner as to shew a wilful defiance of authority a lawful command given personally by his superior officer in the exection of his office". Sent to H.M. civil prison in Durham. 31/10/17 Discharged being no longer physically fit for War Service. Liable to be sent a Statuory order on 31/10/18 requiring him to present himself for medical examination under the military service. His character was recoded as "bad" , no pension granted because his 40% disability was not the result of, nor aggravated by, military service. During September 1917, the Monthly Meeting of Fritchley Friends reported that Arthur Ludlow was awaiting his second court-martial in Sunderland, and this following letter was sent to him. Our minds at this time have been drawn out in loving sympathy with thee in the stand thou artmaking for the Truth as thou and we have seen it, and we desire to encourage thee to be faithful to thy convictions. No sacrifice that is called for by our Lord and Master and which is willingly offered can be in vain. Both Henry Smith and thou art often on our minds and we trust, yea, believe that you will be so supported that you will come out of this furnace, as did the three faithful ones of old, without even the smell of fire upon your garments. Let patience have its perfect work and if it please our Heavenly Father may the days of your captivity be shortened. We are with love thy friends. of Friends, held 5th of ninth month 1917. 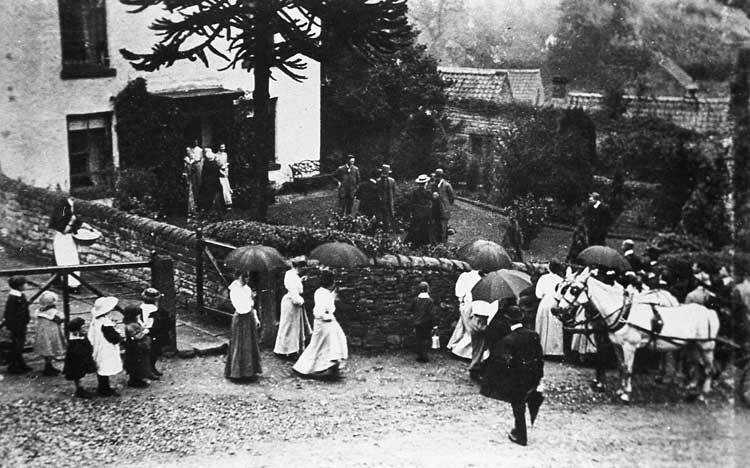 Arthur Ludlow lived at the Briars which is on the Common between Crich and Fritchley. It was built in 1907 as two semi-detached villas by Mr. John Smith of Belper for his two daughters and sons-in-law who were Mr and Mrs George Davidson and Mr and Mrs Arthur Ludlow. 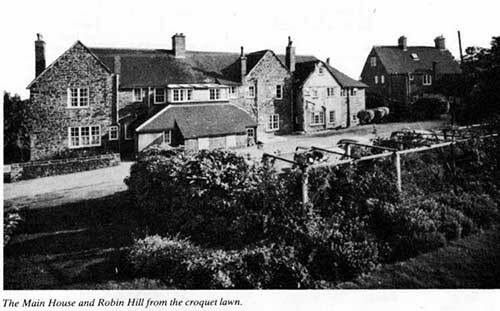 By 1917 the Davidsons had moved away to take up farming in another area and it was then that Arthur and Catherine Ludlow decided to take over the whole building and set up a Guest House. From that time until 1957 many people enjoyed their visits to "The Briars", people from all walks of life and from all parts of the world. Mr. Ramsay Macdonald was a famous guest there. The meals served at "The Briars" were of a strictly vegetarian diet. The Ludlows were staunch Quakers. Catherine's grandfather, John Sargent, being the founder of the Society of Friends in Fritchley village. Read more about the Fritchley Conscientious Objectors.